A couple months ago I endured the utter anxiety of the movie, Free Solo. Have you seen it? 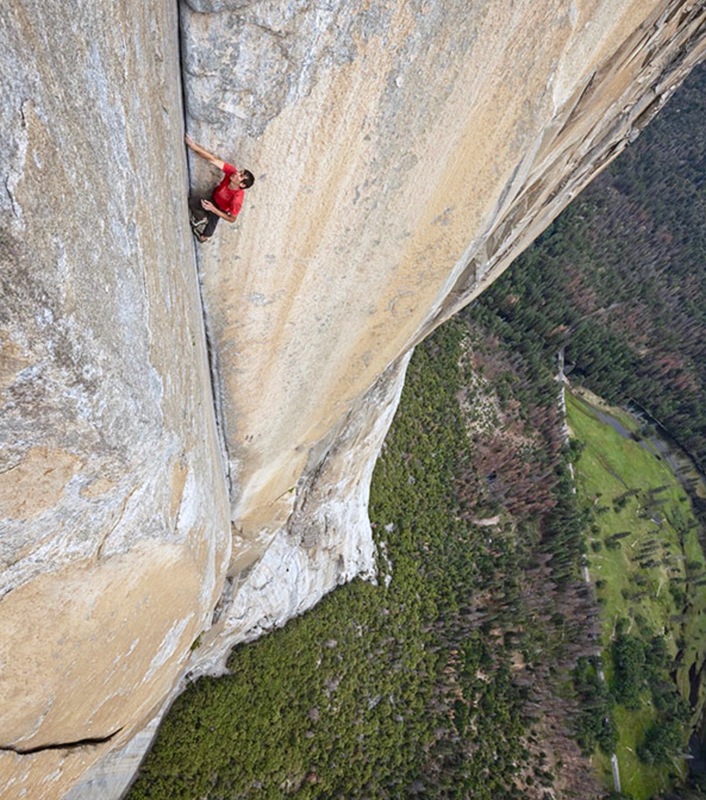 The vertigo-inducing biopic follows Alex Honnold’s quest to scale El Capitan. Climbing this 3,000+ foot wall of sheer granite would be a harrowing feat in itself, but Alex takes it to a whole new level: he uses no safety ropes or climbing equipment. It’s hard to fathom someone willfully choosing this journey. The valley sprawls out far below as he ascends; only the tips of his fingers and toes in the smallest indentations of rock prevent him from plummeting thousands of feet to his death. It’s enough to make even the most stoic viewers squirm in their seats, yet somehow Alex thrives in this atmosphere. The film quickly establishes that Alex has given up the comforts of life to devote all his time and energy to his love for climbing. Most people would probably consider what Alex does as fanatical, but he has no desire to “fit in” with the norm. He follows his passion to the fullest despite what others think. Climbing drives his life, even if it may cost him everything. If we shift the essence of the discussion from rock climbing to spirituality, isn’t this exactly the kind of passion Jesus seeks from His followers? Jesus put it clearly in Luke 14:33: “You cannot become my disciple without giving up everything.” Most Christians understand this verse, but few are ready to detach the ropes that tie them safely to the world. Few are prepared to be looked upon as “different” or labeled a “Jesus fanatic.” Few are willing to risk everything for Jesus. Being different for the sake of Christ is not an insult, but rather a compliment for the believer. And doing what the world considers atypical or risky only shows we’re following the Lord and His Word instead of conforming to the world’s ways. So as we approach this Easter season and contemplate the passion of Christ, let’s seriously evaluate our true passion. How many believers have truly leveraged their life to follow Jesus at all costs? Matthew 22:37 tells us to love God with all our hearts and with all our souls and with all our minds. Maybe it’s time for us to unclip the safety lines. 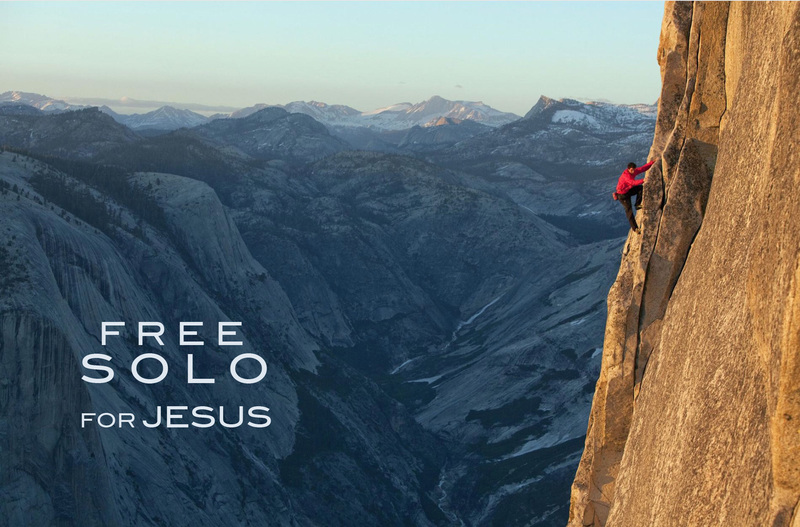 Maybe it’s time to climb out on the ledge and “free solo” for Jesus!